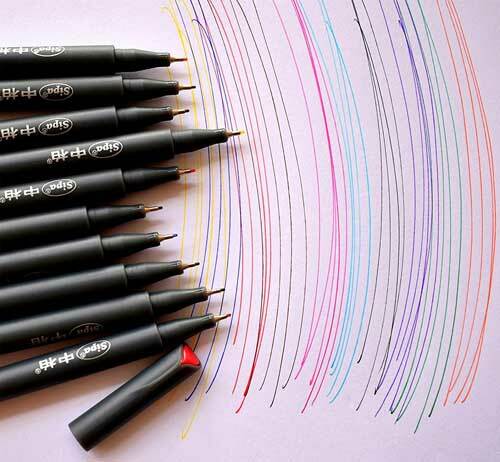 Adding a set of the best fine tip pens to your art supplies will open creative doors you never knew about. 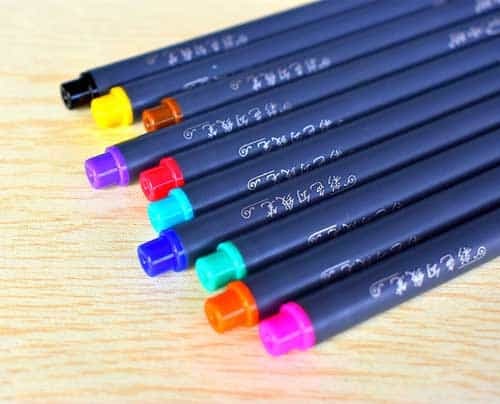 Regular ink pens have their uses, but when it comes to creating sharper detailed drawings or just making your handwriting look neater, using a few of the best extra fine point pens can help. 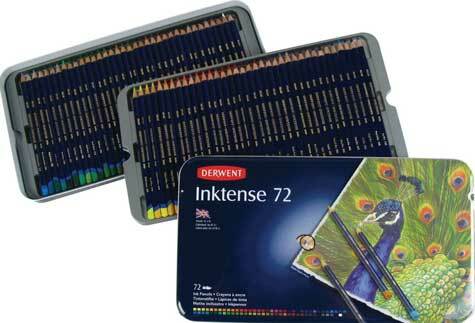 Drawing with fine tip pen sets can bring a higher level of professionalism to your artwork. 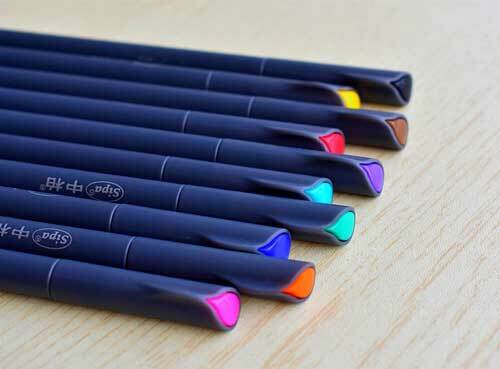 Whether you need fine tip pens for coloring tiny details or drawing a complex pattern, having the best fine point pen in your hand is the perfect tool to get the results you want. 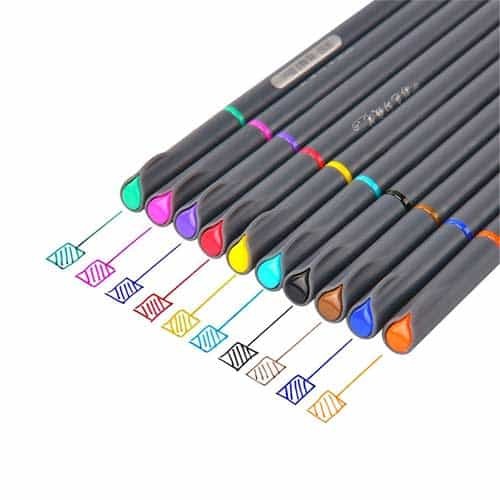 This set of 10 fine tip pens for coloring and making sharp lines is great for beginners. 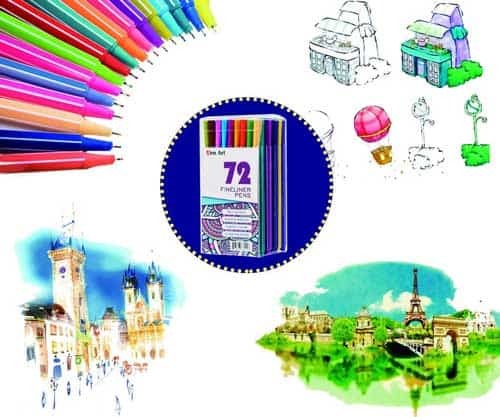 Containing the basic colors, these slender pens can be used for sketching, coloring, doodling, and more. 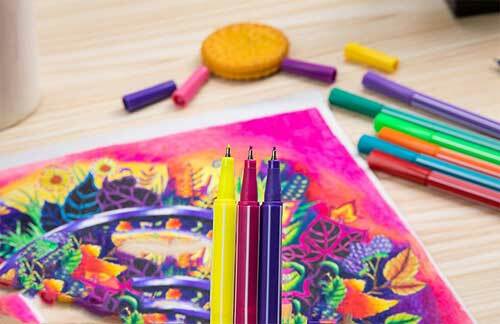 The water-based ink is acid-free and non-toxic. The tip measures 0.38mm, making it perfect for slicing out fine-ink drawings or just writing a quick note with a bit of colored flare. The ink dries quickly to help eliminate smudging opportunities. They’re packaged inside a cardboard box to keep them organized and portable. 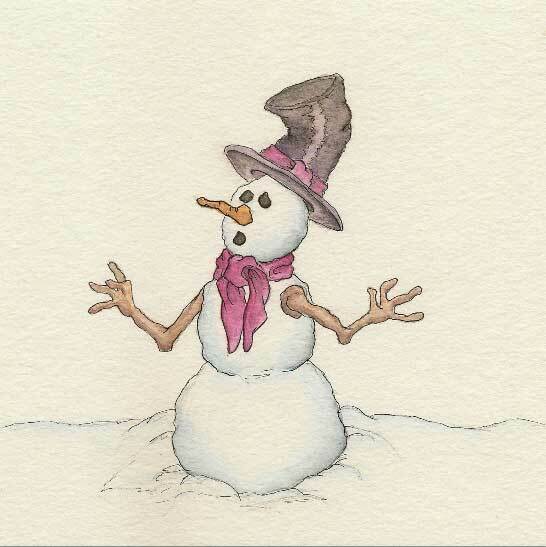 Grab some paper, flip off the cap, and start drawing. Bumping it up a level is this set of 16 pens. Eleven different colors plus five black pens with a variety of nib sizes was designed for artists who require an array of line thicknesses. 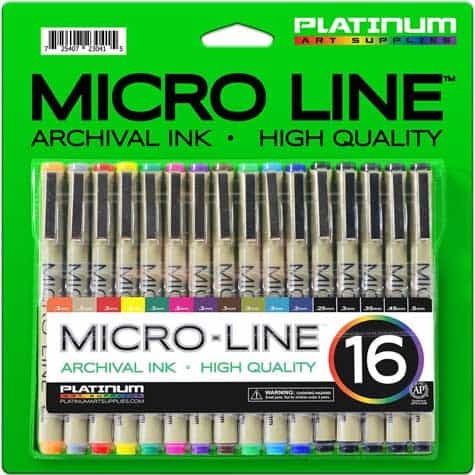 Drawing with fine tip pen sets such as this gives you access to a collection of diverse line types. The ink is non-toxic, water-based, water-proof, and fade resistant. No smudging, bleeding, or ugly streaks. 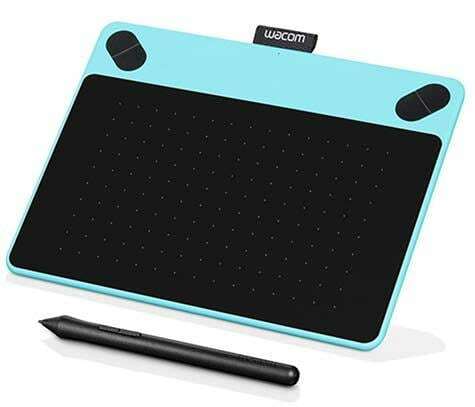 It’s a useful tool when you sketch, write notes or need to create technical drawings with a mishmash of line widths. 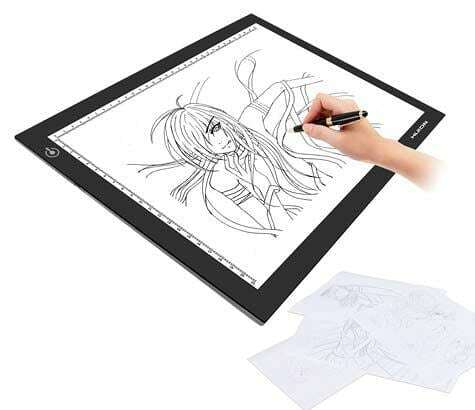 Packaged in a neat plastic case, throw it in your bag and you can sketch anywhere. The feel of a sharpie with the precision of an ultra-fine tip is what these pens are all about. Eight assorted colors of acid-free archival-quality ink can be used on a multitude of surfaces. The ink won’t bleed or feather even on extremely thin paper. The 0.25mm tip puts this set in the category of the best extra fine point pens that artists love. Crisp lines, curves, and shapes appear with consistent colors that resist fading against both sunlight and ultraviolet light. 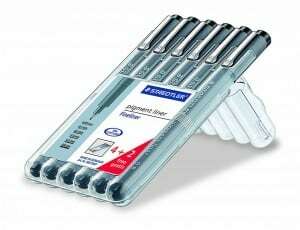 This is a set of the best fine tip pens for ultimate precision when it comes to detailed work. As a bonus, it comes with a black carrying case that zips closed after sliding each pen in its individual slot. For art that requires a few more colors than the previous sets we’ve mentioned, this might get your attention. 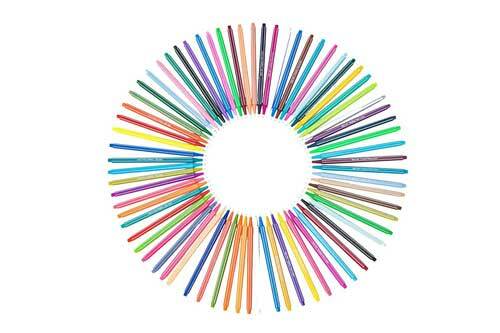 Here’s a set of 24 pens boasting a beautiful array of colors that make it one of the best fine tip markers for coloring or sketching out the most precise details. The triangular body of the pen gives a snug fit in your fingers as the 0.3mm tip delivers consistently sleek lines. The water-based, non-toxic ink dries fast and won’t smudge or bleed. The elongated tip makes it one of the best fine tip pens when using it with rulers or stencils. After using, put the pens back into the plastic storage case to keep them safe and organized. 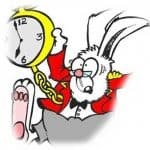 For some artists, it’s go big or go home, right? 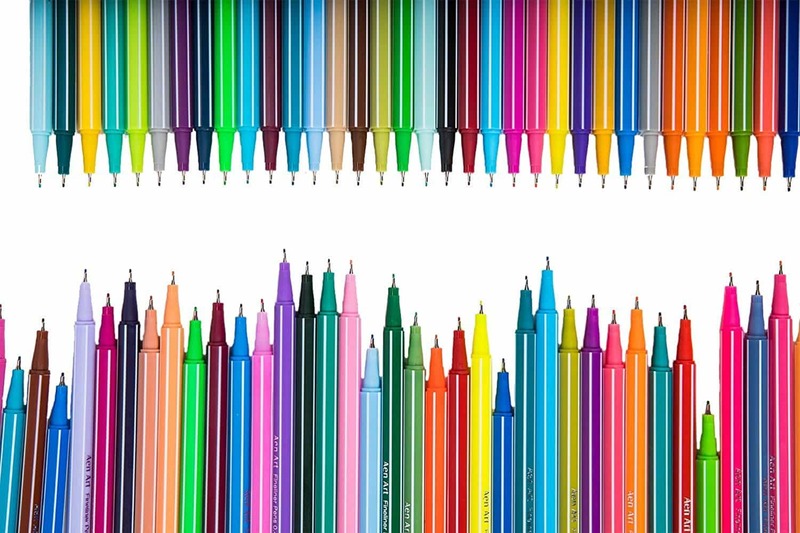 This monster set of 72 colored pens with 0.38mm tips can be used for anything. 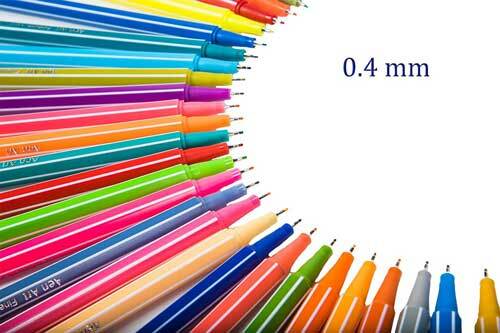 Drawing with fine tip pen sets that include this many colors gives versatility to your creativity. 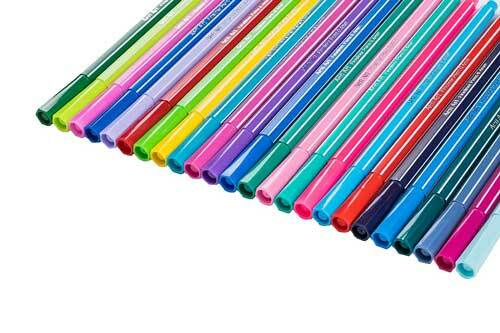 Illustrations, journal writing, stencils, tracing, coloring, and line sketches will look amazing with these pens. The non-toxic ink is water-based and can be used in a multitude of graphics capacities without smears or fading. 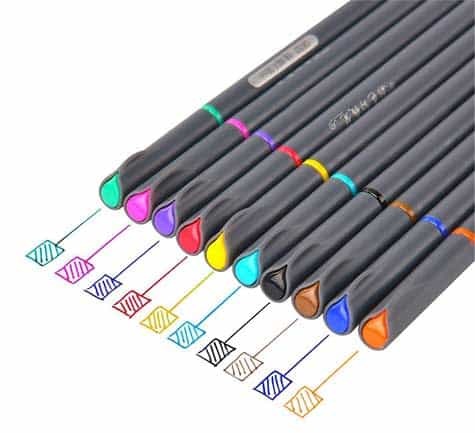 Couple that with the superb tip and you have a set of the best extra fine point pens for any type of artwork you wish to create. The longer metal tip is fantastic for drawing sharp lines with rulers or trace out a stencil. And with this many pens, it’s nice to have an included plastic carrying case. Ink pens and mechanical pencils have their uses. But when it comes to creating meticulous details, you’ll need a tool that can give consistent delicate lines. Having a set of the best fine tip pens in your arsenal equips you with the right tools. 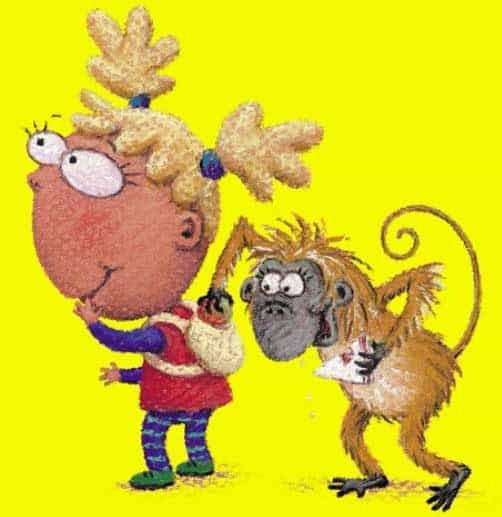 Just draw what your mind is creating! 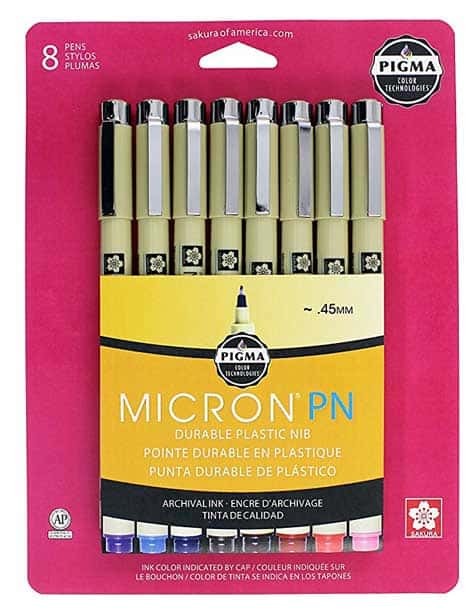 A basic set of pens to start with is the Sakura 8 Pcs Pigma Micron Fine Line Pen Set. This set has assorted colors and a pen case. This set is a great introduction to working with petite points and thinner lines. 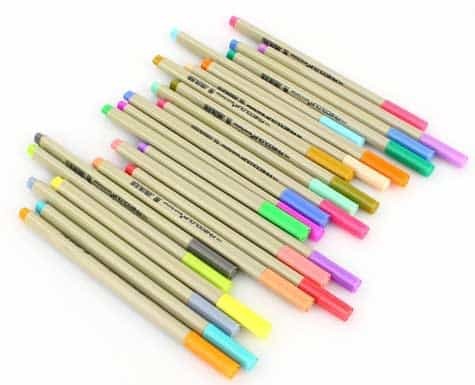 But what if you’re looking for the best fine tip markers for coloring your sketches after their drawn? The more colors, the merrier. 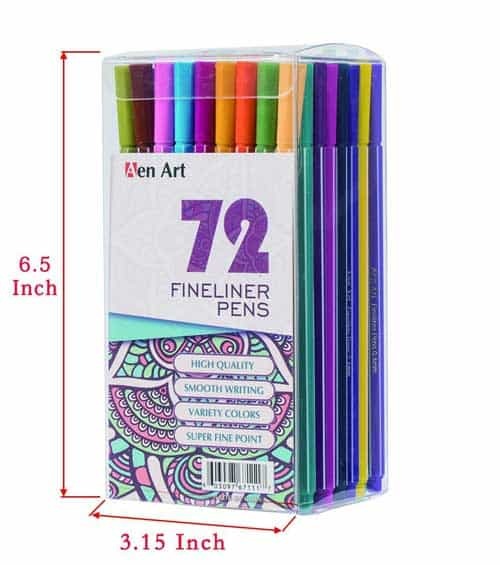 The Aen Art 72 Fineliner Color Pen Set, Colored Fine Line Drawing Marker Pens lets your art blossom. Minimalistic lines burst out with an assortment of exploding colors. The best fine point pen set is the one which streams imagination to fingertips without worrying if your pen can handle it. 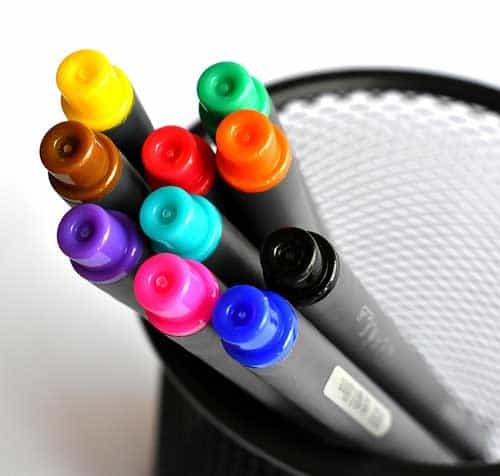 Choose the best fine tip pens that feel like an extension of your hand. Deliver smooth precision and beautiful results. 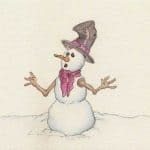 List of Stuff to Draw for Creative inspiration	which is the best watercolor paper brand for artists?